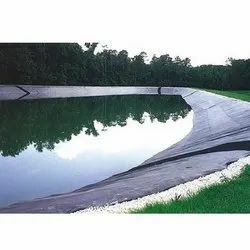 Our product range includes a wide range of agro pond lining films, hdpe liners, hdpe pond liner, pond lining film, landfill liner and pond plastic liner. We are an efficient manufacturer and supplier of the Agro Pond Lining Films. 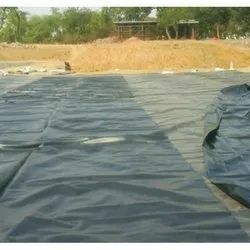 These Agro Pond Lining Films are by and large utilized in the fields like agribusiness and infrastructural ventures for the destruction of the waste material by rendering a defensive covering. Offered films are accurately made utilizing standard quality low-thickness polyethylene and by teaching present day innovation in consistence with the predefined business standards. 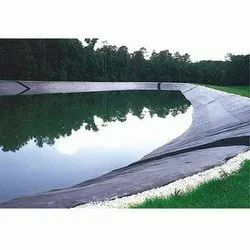 Additionally, these Agro Pond Lining Films are likewise utilized for channel lining, lakes/repositories, streets, and so forth. Mono Industries is leading manufacturer of HDPE Liners. We are one the well-known manufacturers and suppliers of HDPE Pond Liner. The offered pond lining is very useful for preventing the seepage losses. Our supplied pond lining is easy to install on lining of ponds and canals. Our supplied pond lining is made from superior grade raw materials, sourced from very trusted vendors in the market. With our spacious experience, we are leading to engaged in manufacturing and supplying the best quality Pond Lining Film that is provided in varied customized lengths, thicknesses, and widths. Mono Industries Offered scope of the film is unpredictably fabricated utilizing quality guaranteed polyethylene sheet in consistent with all around acknowledged standards of value. It prevents leakage disposal in river banks, pond, tunnels, liquid storage pool, and reservoir. We are the best manufacturers of Pond Lining Film in New Delhi, Delhi, Rewari, Haryana, India. The landfills have been designed and constructed, as a secure containment facility incorporating multilayer composite liner systems covering the entire surface area of the site. As the sites are lined, landfill gas and contaminated liquid within the landfill (know as leachate) can be collected and treated to ensure that there will be no untreated discharges from the landfill to the environment. The geomembrane used in the landfill liner systems with 60 mils (0.06 inches) thick and must be made of a material (such as high density polyethylene (HDPE)) that is extremely low in permeability. The material must also have chemical and physical characteristics that are not adversely affected by the placement of waste or by contact with leachate. Linear low density polyethylene (LLDPE) and high density polyethylene (HDPE) are materials typically specified for geomembranes in solid waste landfill cover systems. 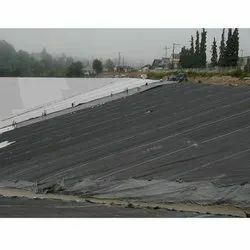 A geomembrane barrier used in landfill final cover system must be a minimum of 40 mils thick if comprised of LLDPE or a minimum of 60 mils thick if it is comprised of HDPE. The 60 mils minimum thickness for HDPE geomembranes is to achieve proper field seams. We are manufacturing and supplying wide assort of Pond Plastic Liner. These offered products are highly appreciated by our client's in the market due to their long life and super quality. Moreover, we offer our products in minimum price.